Swiss Chard and Aphids: Part II – Cut It Back! A few months ago I was battling the aphids again, this time on my Swiss chard plants, the three that I’ve had for nearly two years. After numerous attempts of spraying with organic pesticides and hosing the aphids off I decided to change methods. Cut it back! This was my mother’s trick in the garden – if something wasn’t doing well, she cut it back. I cut off all of the leaves with aphids on them and only left a few small baby-sized leaves on the stems. A month later, my chard was back and looking good. Yahoo, it worked! And then on one of the plants, I found some of those black aphids on the back of one of the medium-sized leaves. UGH! This time, I tried something new. I washed off the leaves and smeared my worm castings all over the plant. I did this once per week. Another month passed and no aphids. For your next battle with aphids or disease – try cutting back the plant. 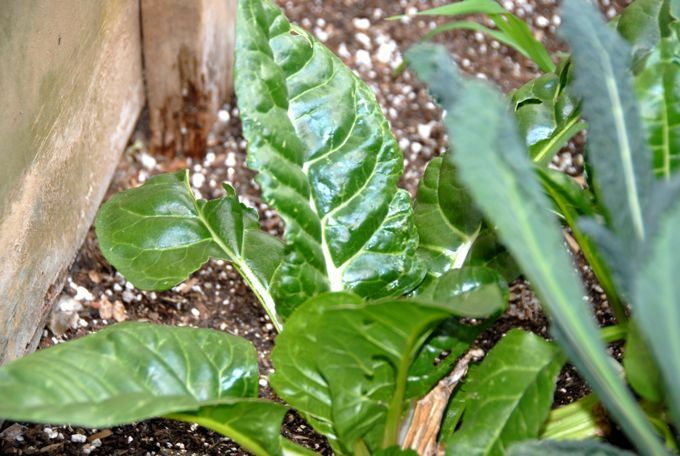 If the infestation is really bad, smear worm castings all over the leaves and stems as a protective barrier. Your plant will thank you. Questions or comments? Please write below. 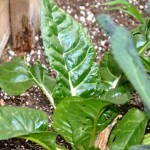 I have rows of white eggs on the underside of the leaves of my Swiss chard. This is the third year I have tried to grow it and eventually the leaves turn brown and look like they got wet and boiled in the sun (scalded & papery) I am using new top soil this year and 50 feet from where I planted last year. How can I get the Swiss chard healthy and get a good crop? I would like to do it organically if possible. The eggs could be caterpillars… Try an organic pesticide on them, add organic compost around the base of the plant. If you don’t have access to the compost, add some organic fertilizer. Do you think you’re watering enough? You want to keep the soil evenly moist. Keep us posted! 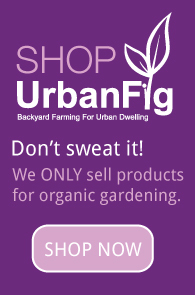 Get the latest gardening news, exclusive coupons and specials. We'll email you weekly (and occasionally bi-weekly) and we'll NEVER share your information. Organic Farming Can Be Key to Feeding the World Studies Show – Grow Your Own Food! 2014 NRDC Growing Green Interviews on UrbanFig Coming Soon! Can GMO’s Feed the World? Raising Chickens in Your Urban Garden?